Despite the facts that there are a huge number of picture tubes that come packaged with Corel Paint Shop Pro Photo X2 Ultimate and there are many, many more available as free downloads on the internet, all picture tube aficionados are eventually going to get to the point where they want something completely unique for their digital photo-editing projects. We’ll walk through the process to show you how you can take your own custom or downloaded images and turn them into a custom picture tube of your very own. The first thing we need to do is gather or create the images we want to use for our picture tube and make sure they’re all around the same size. For this picture tube, we’re going to use eight pieces of Halloween clipart that were downloaded from Microsoft Office Online. This is a great place to browse for images when you already have a theme in mind, and you’re just looking for items to match that theme. Using the resize tool, I modified all of the images so that they would all be smaller than 150 pixels x 150 pixels. You can choose to keep the images within any dimension range you like, but it helps a whole lot if you keep them within some manageable range, especially when you are just beginning to create your first picture tubes. Now that the “pre-work" is done, we can look at the steps needed to create out Halloween picture tube. 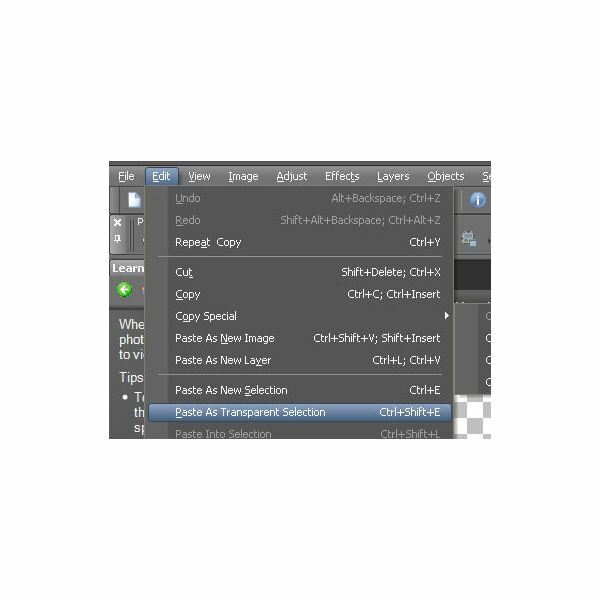 Step One: From the File menu, choose New to create a new image. This new image will be the basis of our picture tube. It will be divided into grids, one section for each of the images that we want to be in our picture tube. In this example, we have eight images to add so we’ll plan for a grid with two rows of four figures. 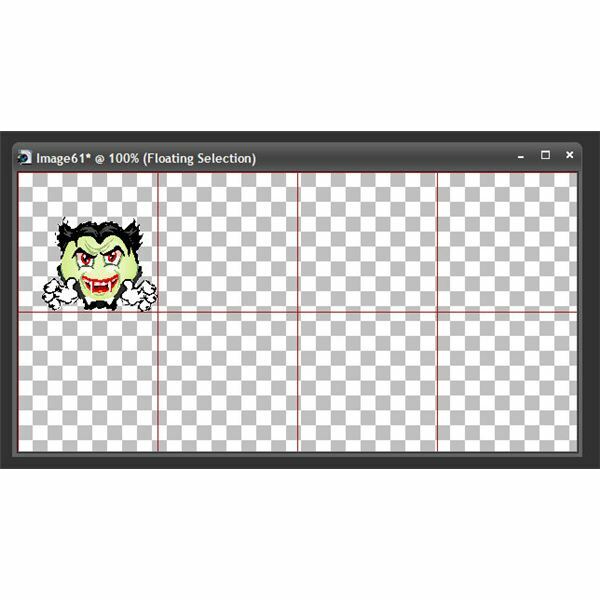 Since each piece of clipart is smaller than 150 x 150 pixels, our entire grid only needs to be 300 pixels in height (for the two rows) and 600 pixels in width (for the four columns). To satisfy the requirements for a picture tube, we also need our new image to have a raster background and either 8 bits/channel or 16 bits/channel as the color depth. Finally, we need to check the box next to Transparent so that our picture tube will have a transparent background. The screenshot below (click the image for a larger view) shows all the options needed for this new image. Step Two: Now we need to add a grid to our new image. If no grid is currently being shown, select Grid from the View menu. Next, from the View menu, select Change Grid, Guide & Snap Properties. 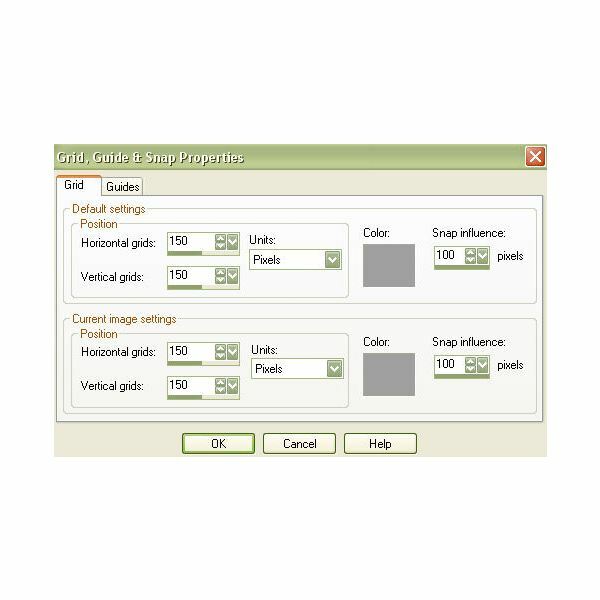 When the Grid, Guide & Snap Properties window appears, make sure the Grid tab has been selected. We want each grid to hold one of our clipart images. 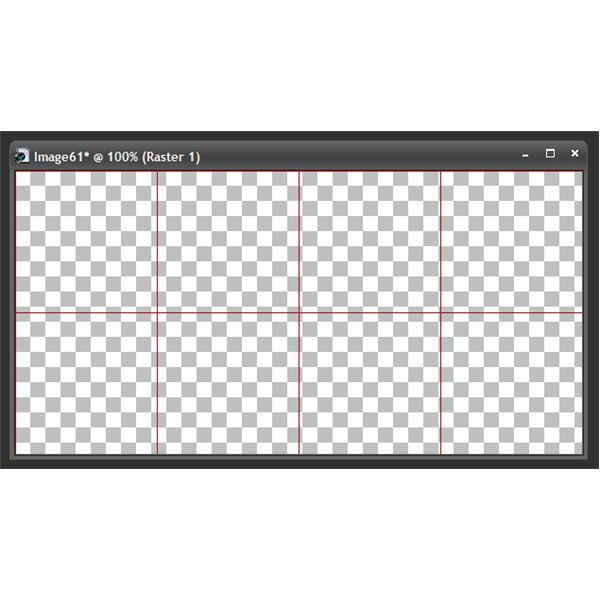 Since each of our clipart figures is smaller than 150 x 150 pixels, we’ll change all of the grid positions to 150 pixels as in the screenshot below. Our new image will now look like a 2 row x 4 column table with each cell measuring 150 x 150 pixels. This image is depicted below. 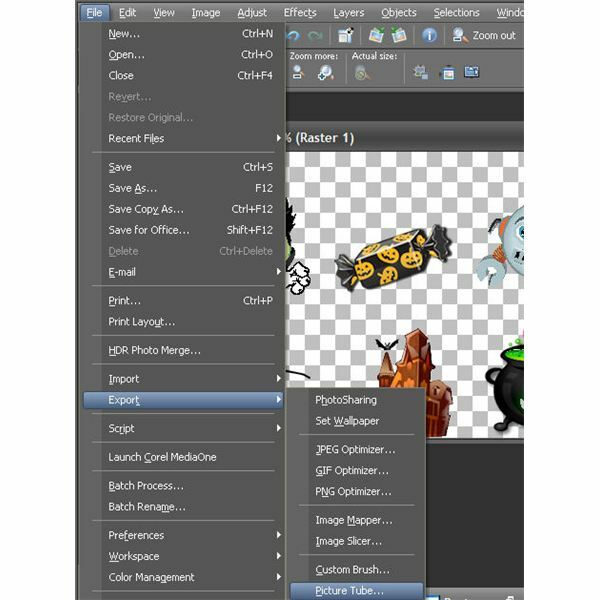 Step Three: We now want to move each of our clipart images into one grid in the new image. 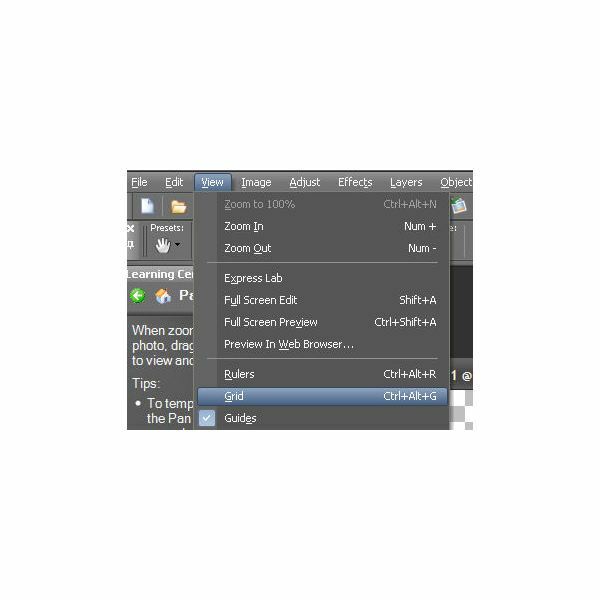 To do this, pick one of the images and choose Copy from the Edit menu on Paint Shop Pro’s main toolbar. 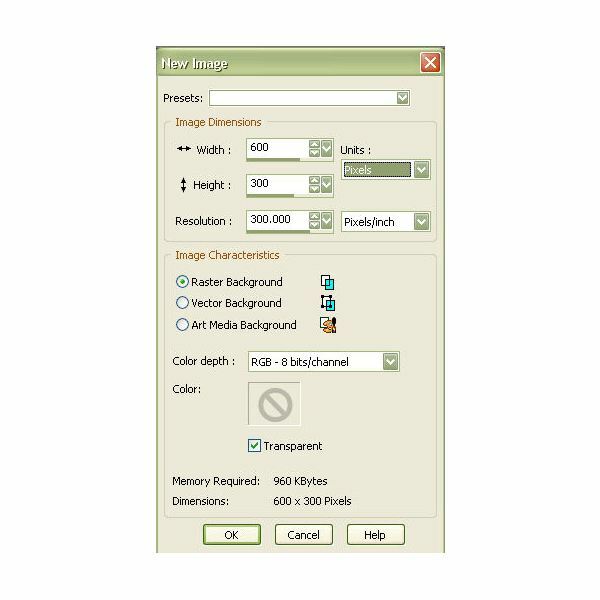 Next select the new image we created with the gridlines, and choose Paste As Transparent Selection from the Edit menu. 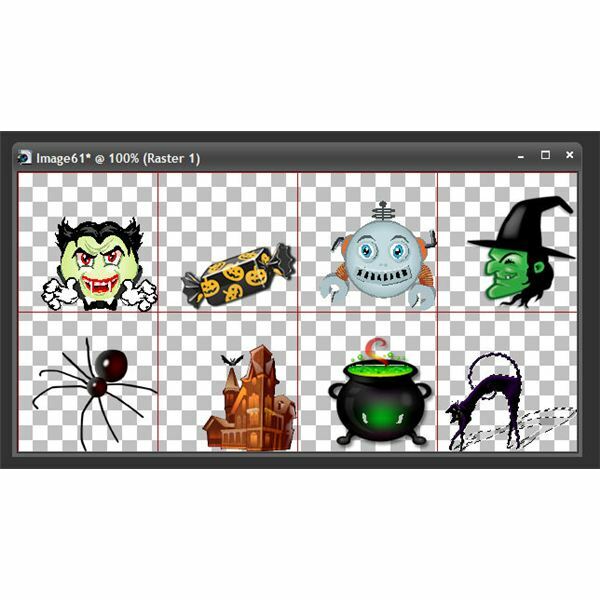 Position the clipart image until it is contained entirely in one grid, and then click the mouse to place the image. Continue this process with the rest of the images. 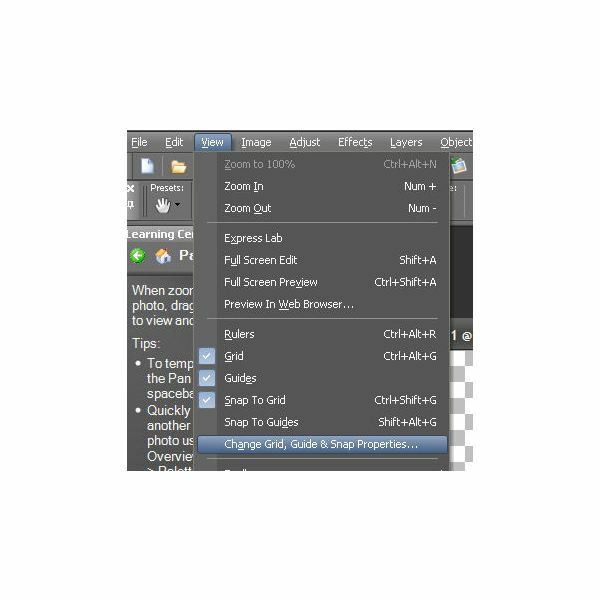 When finished, choose Merge from the Layers menu, and select the option to Merge Down. Step Four: Now it’s time to convert this image to a picture tube. From the File menu, choose Export and then Picture Tube. The Export Picture Tube window will appear on the screen, prompting us for more information about the tube we’re creating. Make sure to enter the proper information for the Cells across and Cells down field, and name the picture tube in the Tube name area. Now, the new tube will be accessible through the Picture Tube tool, and you can use it for any of your projects. 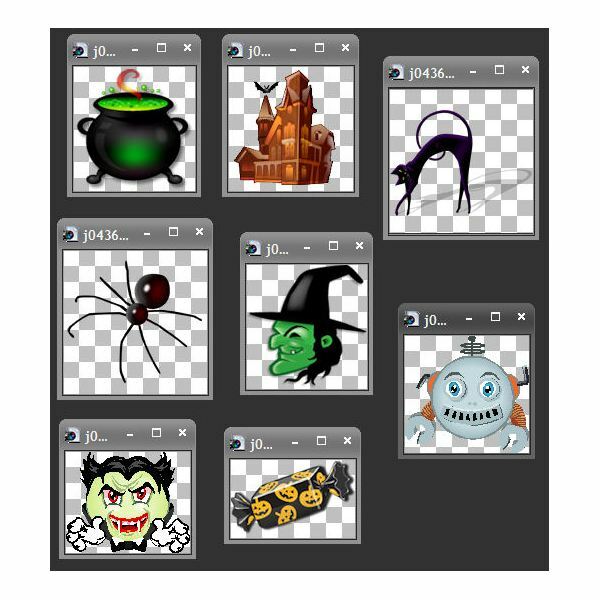 If you would like to download the picture tube that we’ve created in this guide, a copy had been placed in the Digital Photography Media Gallery under the name Special Halloween Picture Tube for Paint Shop Pro. Looking for more tips and tricks? Browse through the other items in Bright Hub’s collection of Paint Shop Pro tutorials. Ready to find out how you can use the picture tubes of Corel Paint Shop Pro Photo X2 Ultimate to jazz up your digital photographs? In this series, we’ll start with the basics and work ourselves up to learning how to create our own custom picture tubes for the photo-editing software.